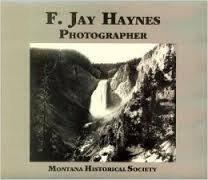 F. Jay Haynes was a noted photographer. He did most of his work in Yellowstone National Park and other places in the USA. Haynes was the official Park photographer and he worked for the Park for over 30 years. He was very concerned with the survival of the Park, because the Park was having some problems. Some examples of the problems were poaching, park development, and the threats to the survival of the cutthroat trout. He was born on October 28, 1853, in Saline, Michigan. He took his first trip to Yellowstone in 1881. He continued to visit the Park until he died in 1921. The Yellowstone Improvement Committee named him its official photographer in May of 1883. By lindababcock in Bozeman Biographies on January 10, 2014 .